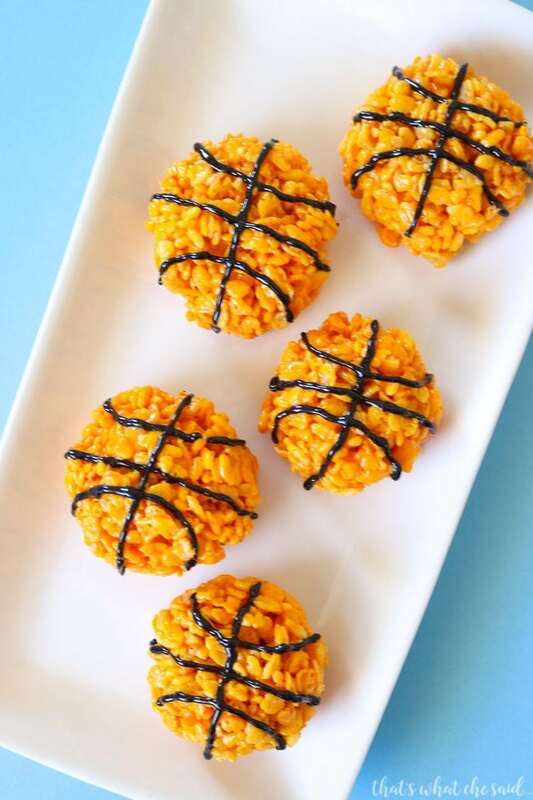 Basketball Rice Krispie Treats are perfect for team events and even better for your March Madness party! 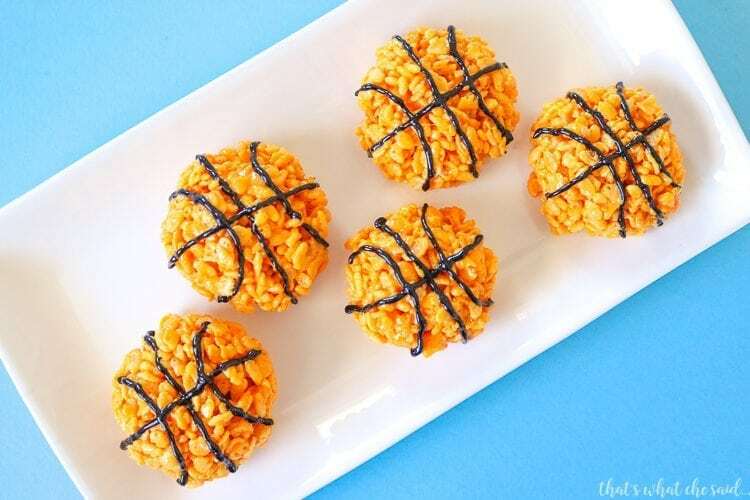 They are easy to make and these are flavored! So yummy! I know it can get overwhelming to search Pinterest and see all these elaborate treats and you think that you don’t have the time for something like that, but these only took a few more minutes to make than if I just put them in a 9 x 13 pan. My secret to the orange color also has to do with the flavor part! I used packets of powdered drink mix! Multi-purpose! I add it in after the marshmallows and butter have melted. If you prefer to have original, unflavored treats you can certainly omit the powdered drink mix and just use regular orange food coloring. At first, I formed these into disc shapes. Then I found I liked them better when they were more spherical to resemble a ball better. I accomplished this by forming a ball with the treat mixture and then carefully flattening one side so it would set on my cookie sheet. 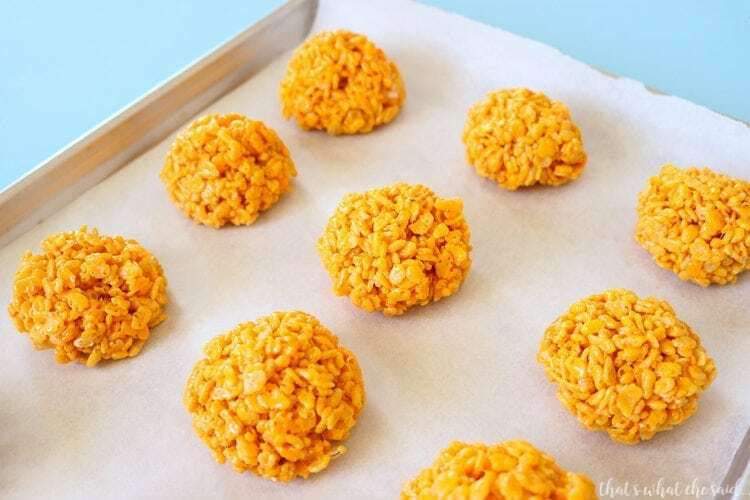 You can also spread these in a 9 x 13 pan and use a circle cookie cutter to cut circle shapes but I personally do not like the cut rice showing on the sides. I like when the whole thing is orange! For the basketball lines you will want to draw a + first then add a )( to the cross to make the black lines on a basketball. If you are curious about the powdered drink mix it works out great. The marshmallows have enough sugar in them that when combined the drink mix is not tart. It lends an orange flavor to the treats! My kids said they tasted like orange Tic-Tac candy! 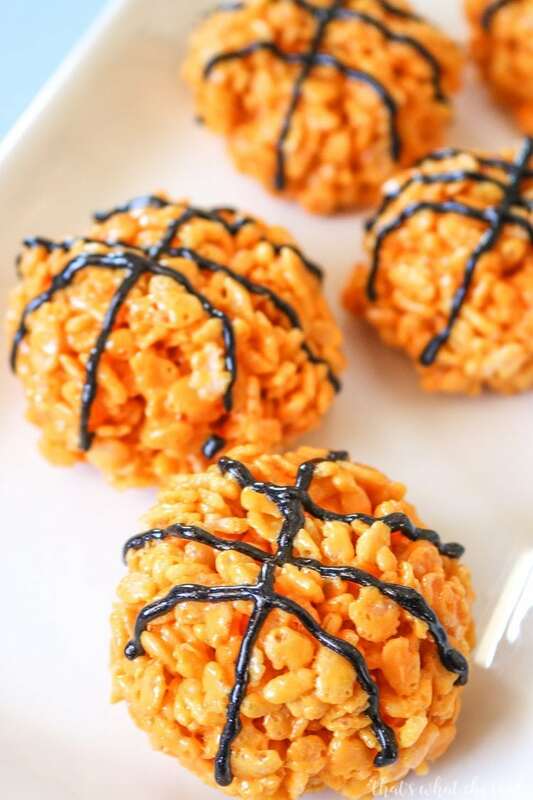 Delicious basketball rice krispie treats perfect for your March Madness party or team event. Add marshmallows and butter to a large pot and melt on medium heat. Stir often. Remove from heat just before all the marshmallows are melted. Remove from heat and stir in packets of powdered drink mix. Allow to rest for approximately 5 minutes. If the treat mixture is too warm it will not shape. Butter your hands well. Using your hands form a large ball. Be careful not to pack the ball too tightly or overwork the mixture. This will yeild hard treats. 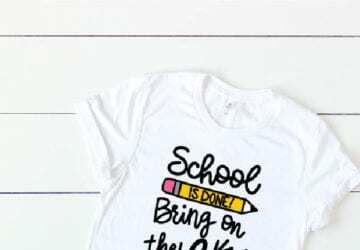 You have 2 options here. You can flatten one side of the ball, leaving the other with a dome shape to resemble a ball or you can flatten both sides so that you have more of a disc. Place on parchment lined cookie sheet to cool. 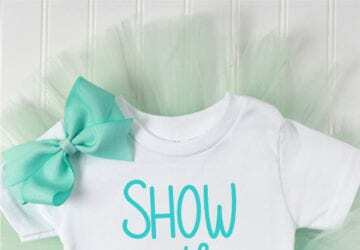 Repeat until all mixture has been used. You will get anywhere from 22-26 basketballs depending on the size you make them. 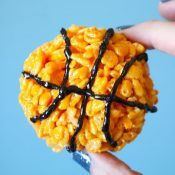 Using the tube of black gel, make the lines of the basketball on your treats.